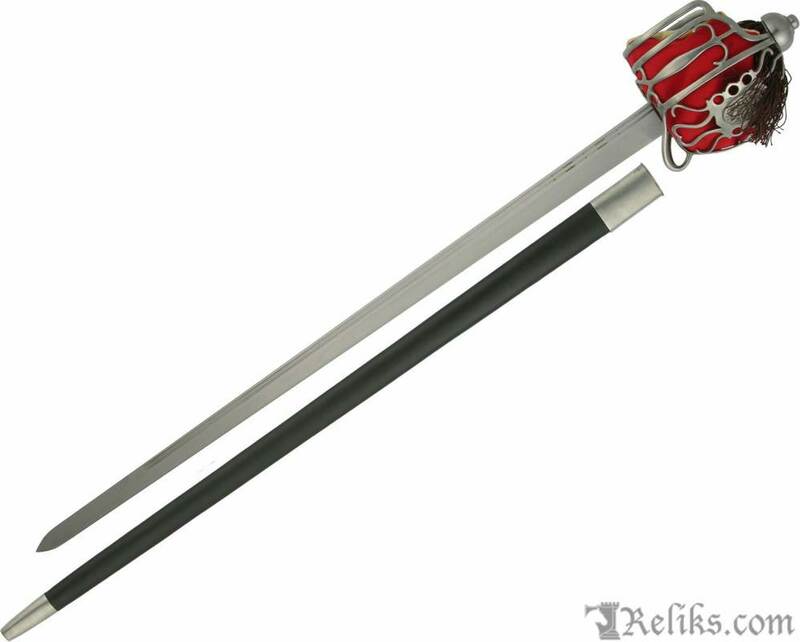 The Basket-Hilt backsword dates from about 1760 and has an unusual basket with twin engraved "horned beastie" plaques and a blade with twin fullers running most of its length. 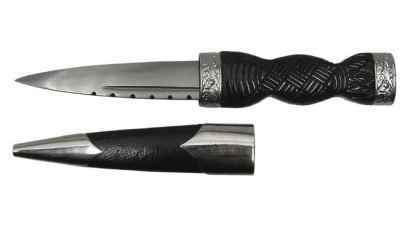 The original blade is German in origin but the blade and hilt are contemporary. 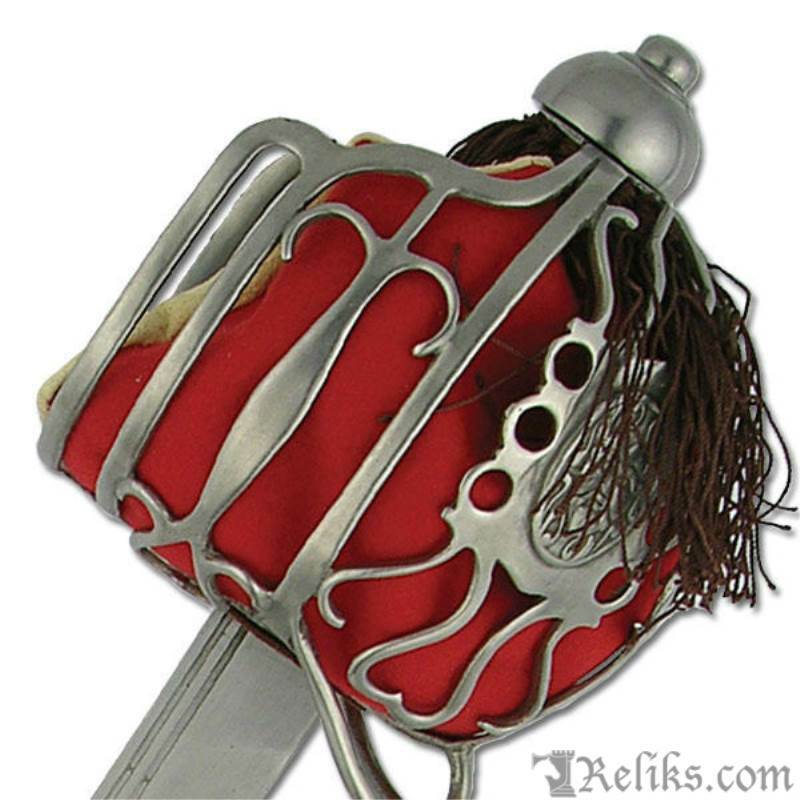 Early highland swords almost invariably carried the double-edged broadsword blade, but by the time of the Battle of Culloden (1746) the single-edged backsword was at least equal in popularity. 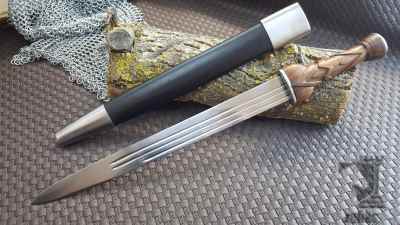 Although the blade of the original bears the"Andrea Ferara" name, it is unlikely that it was made by this renowned Spanish swordsmith, as many good quality blades of the period were so marked (in various spellings! ), irrespective of the actual maker. 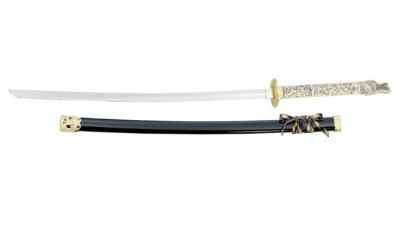 The forged blade of our sword is in fully tempered high-carbon steel with a solid steel basket. The grip is wire-wrapped rayskin and the basket liner is of felt-covered leather. Blade Thickness at Guard: .230"
Blade Width at Guard: 1.25"